Magnussen, Grosjean and Pietro Fittipaldi pose with black poles of golden details, colors of the new main partner of the team: Rich Energy. 2019 is a year of changes in Formula 1 at all levels: drivers, regulations, team names, farewells ... and also in the designs of the cars. Mercedes surprised by showing a part of the front wing of the W10 with quirky colors and camouflage pattern, it is expected that the Ferrari presents an unprecedented decoration, Racing Point begins a new stage under a different name and it seems that Haas will also present novelties in his car. That's what you can expect to see the clothing of its pilots for this year. 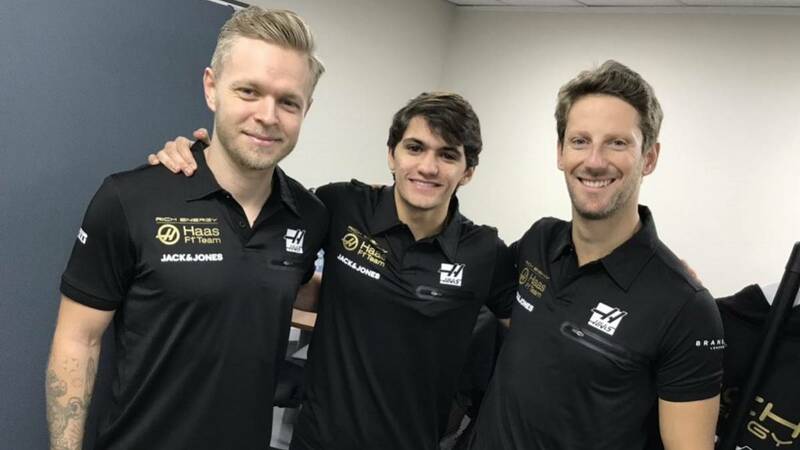 Magnussen, Grosjean (the titular pilots) and Pietro Fittipaldi (the test) posan smiling in a photo that the American team climbed to their social networks wearing polos black with golden details. These are the tones of its new main partner, the energy drink Rich Energy, which will have a capital importance in the team to the point that it can radically change the appearance of the car's chassis. Tomorrow, day 7, we will leave doubts because Haas will be the team that opens the presentations of the new season.